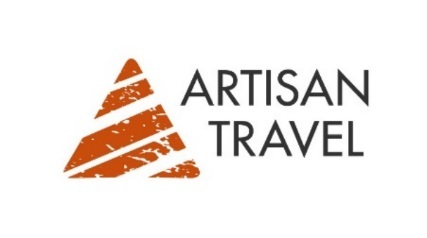 With over 16 years’ experience of creating inspirational holidays, which combine expertise and local knowledge, Artisan Travel has added several new small-cruise itineraries to Europe and beyond. Explore Croatia’s beguiling coastline and pretty islands on this 10-night tour. Croatia’s Highlights by Land and Sea begins with three nights on the mainland exploring the capital Zagreb, UNESCO-protected Plitvice Lakes National Park plus the historic cities of Trogir and Split. 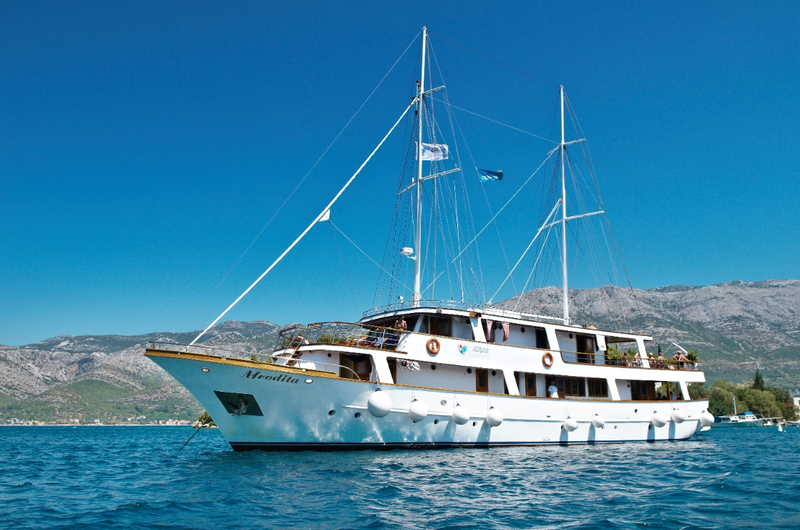 Then board a small cruise vessel and visit the charming islands of Brač, Korčula, Mljet and Hvar. There is also time to explore Dubrovnik’s medieval streets and the lesser-known Pelješac Peninsula – known for its delicious oysters and mussels. The price is from £905 pp (two sharing) including transfers, three nights’ B&B hotel accommodation, seven nights’ B&B cabin accommodation, six lunches, five dinners plus activities and city tours. Flights extra. Departs May-September 2017. Explore the beautiful Canary Islands in some style aboard a modern 49-passenger yacht with delicious local cuisine on board, comfortable cabins and relaxing sun decks. Visiting seven ports, which offer an array of culture, impressive architecture and quiet sun-soaked beaches, there’s also the chance for on-shore excursions to numerous UNESCO World Heritage sites, otherworldly volcanic landscapes and spectacular mountainous peaks. The price is from £1,815 pp (two sharing) including seven nights’ full-board cabin accommodation, private transfers and captain’s drinks/dinner. Flights (Las Palmas) extra. Departs March and April 2017. Next season runs November 2017-April 2018. Sailing from Málaga to Lisbon, the seven-night Southern Spain and Portugal by Sea trip includes visits to Granada’s Alhambra Palace, the mountain-top town of Ronda and Gibraltar. Sample sherry and flamenco dancing in Jerez de la Frontera and Portugal’s historic cities of Silves and Lisbon. Alternatively, explore the Iberian coast in reverse, starting in Lisbon and sailing to Málaga. Sailing from Lisbon to the Alhambra is a relaxed and stylish way to explore the Iberian Peninsula’s historic towns and cities. The price per trip is from £2,125 pp (two sharing) including seven nights’ full-board cabin accommodation on board Panorama II, private transfers, a captain’s dinner and complimentary snorkelling/fishing equipment hire. Flights extra. Departs May-October 2017. 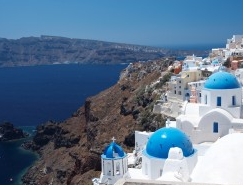 Starting and ending in Athens, Island hopping on the Aegean Sea is a nine-night trip which stops in Mykonos, Santorini, Crete and lesser-known destinations such as Delos – the alleged birthplace of the Greek God Apollo; Kea, Kythira and medieval Monemvasia. Explore historical sites, anchor in private bays and enjoy delicious fresh seafood and local cuisine on board. The price is from £2,295 pp (two sharing) including transfers, two nights’ four-star hotel accommodation with breakfast, seven nights’ B&B cabin accommodation plus three lunches, four dinners, bbq, captain’s dinner and drinks reception on-board. Flights (Athens) extra. Departs April-October 2017. Explore South-East Alaska’s stunning natural wilderness from glaciers and mountains to forests and wildlife on this mesmerising 10-night Alaskan Cruise. Departing from Alaska’s picturesque capital city of Juneau, sail through one of the richest whale migration routes on earth, past beautiful islands, secluded bays and hidden waterfalls. Sightings of whales, sea otters, porpoises, bears and eagles will leave you speechless. 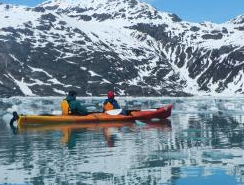 You can even add a glacier dog-sledding experience via helicopter to the itinerary for an additional cost. The price is from £3,215 pp (two sharing) including three nights’ hotel accommodation, seven nights’ full-board cabin accommodation and transfers. Flights (Juneau) extra. Departs April – September 2017. The Greenland & Iceland – Natural Wonders Cruise begins in Greenland and explores the country’s rugged west coast, a landscape dominated by fjords, floating icebergs and glaciers. Visit the town of Nuuk which was founded in 1728, stop at Uummannaq, 300 miles north of the Arctic Circle and located at the foot of a heart-shaped mountain, and visit the azure waters of the Ikka Fjord. In Iceland, explore the volcanic Westman Islands, and spot whales, dolphins and seabirds from the deck. The price is from £3,195 pp (two sharing) including 11 nights’ full-board en-suite cabin accommodation, on-board gym, sauna and entertainment, wilderness guides/instructors, transfers and flight from Reykjavik to Kangerlussuaq. Departs July – September 2017.